WNBC: A statement from President Obama is expected at 3:15 p.m.
RT @WesternPub: Oh great CNN and the rest are showing photos from the Facebook profile of the wrong Ryan Lanza. Nice work, guys. Correction: The tweets posted earlier attributed to Ryan Lanza appear to have been written by a different person with the same name. 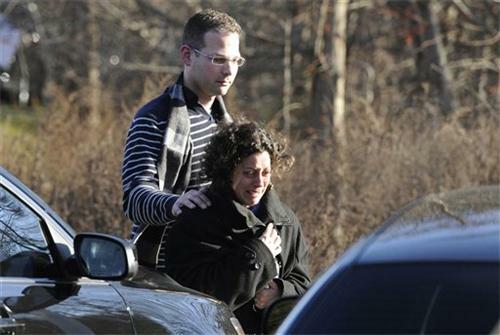 WNBC: An additional relative of Ryan Lanza's has been found dead in a home in Newtown, Conn. So that's his father in Hoboken, another relative in Newtown, his mother at Sandy Hook Elementary School, and additionally his brother being held by police. 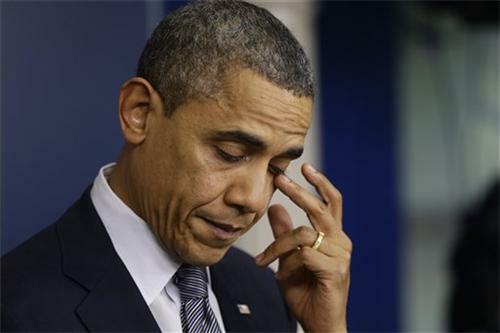 President Obama is expected to make a statement about the school shooting in the next few minutes. "I made it clear that he will have every resource he needs to investigate this heinous crime, care for the victims, counsel the families." 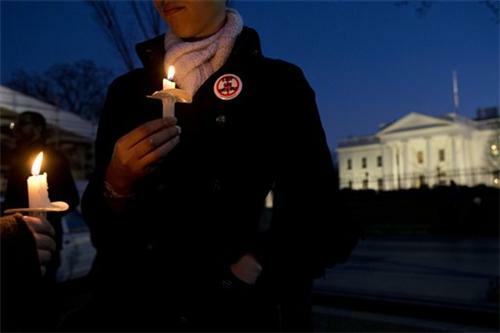 "I know there's not a parent in America who doesn't feel the same overwhelming grief that I do. The majority of those who died today were children -- beautiful little kids between the ages of 5 and 10 years old." He has had to pause to compose himself twice. "Our hearts are broken today for the parents and grandparents, sisters and brothers of these little children, and for the families of the adults who were lost." "As a country we have been through this too many times, whether it's an elementary school in Newton, or a mall in Oregon, or a temple in Wisconsin or a street corner in Chicago." "In the hard days to come, that community needs us to be at our best as Americans, and I will do everything that I can as president to help. ... All of us can extend a hand to those in need, to remind them that we are there for them, that we are praying for them." "In the words of scripture, 'heal the broken hearted and bind up their wounds.' "
WNBC: Related to the investigation, exit 10 on I-84 in Connecticut has been shut down for up to 12 hours. WNBC: Two roommates of Ryan Lanza have been detained and are being questioned, but there's no indication that they had any knowledge of the events in Newtown. Also the AP now agrees with Fox News and the New York Post that the shooter was Adam Lanza, 20, and that his older brother Ryan, 24, was arrested and is being held. 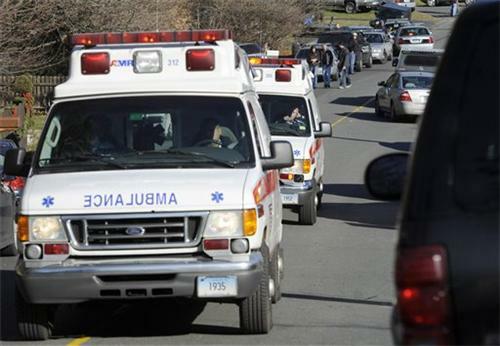 Westport Patch: Police have raided a home in the Sandy Hook part of Newtown, a show of investigative force that comes just hours after a gunman shot students and staff at Sandy Hook Elementary today, killing as many as 27. There were at least 15 police cars at 36 Yogananda St. as of 2:13 p.m. There are multiple armed police officers there, including one with a rifle at his side. 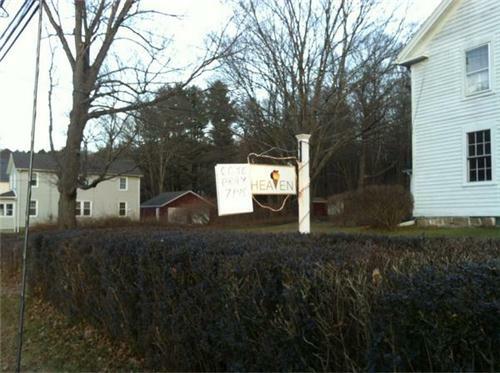 WCBS Radio is reporting that the shooter is Adam Lanza, not Ryan Lanza as has been widely reported. WCBS cites a source familiar with the investigation. 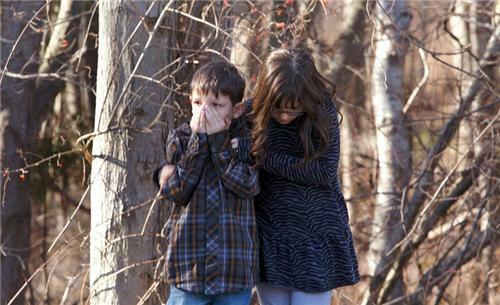 (1) Sandy Hook student to @CBSRadioNews: "I was in the gym and I heard like seven loud booms. 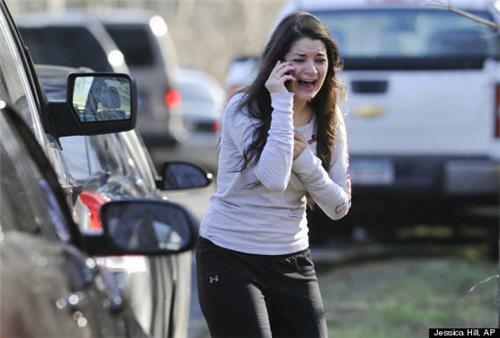 The teacher told us to go in the corner..."
WNBC: There will be a vigil at St. Rose of Lima church in Newtown at 7 p.m.
Re: The shooter's weapons, CNN reports that there were two 9mm handguns, a Glock and a Sig Sauer, and a .223 Bushmaster rifle..